A central role of the entrepreneur-manager is assembling a strategic bundle of complementary assets and activities, either existing or foreseen, which when combined create value for the firm. This process of creating value however requires managers to assess which activities should be handled by the market and which should be handled within hierarchy. 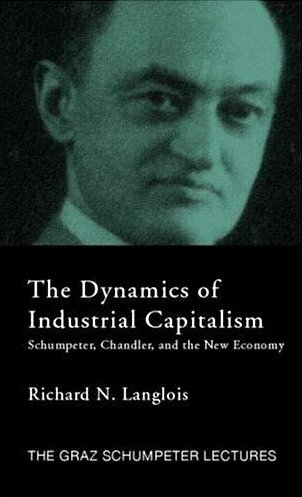 Indeed, for more than forty years, economists, sociologists and organizational scholars have extensively examined the theory of the firm’s central question: what determines the boundaries of the firm? Many alternative theories have emerged and are frequently positioned as competing explanations, often with no shortage of critique for one another. In this paper, we review these theories and suggest that the core theories that have emerged to explain the boundary of the firm commonly address distinctly different directional forces on the firm boundary – forces that are tightly interrelated. We specifically address these divergent, directional forces – as they relate to organizational boundaries – by focusing on four central questions. First, what are the virtues of markets in organizing assets and activities? Second, what factors drive markets to fail? Third, what are the virtues of integration in organizing assets and activities? Fourth, what factors drive organizations to fail? 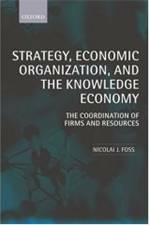 We argue that a complete theory of the firm must address these four questions and we review the relevant literature regarding each of these questions and discuss extant debates and the associated implications for future research. Looks like a very interesting piece. Came out to early, though, to make use of the various hierarchical and scale-free network architectures I discuss in my upcoming Advances in Austrian Economics article, “Getting to the Hayekian Network”. :-) I clarify the boundaries between firms and markets, and discuss in particular one kind of hierarchical network that can be mistaken for a kind of scale-free network. Not sure whether this matches your interests but I recently came across an interesting paper that seems to sit at the border between labor studies of offshoring and transaction theory of org. boundaries. That said, I haven’t read it yet beyond the first few pages, so my apologies if this is off target. This paper offers the first empirical analysis of the impact of adaptation on the boundary of multinational firms. To do so, we develop a ranking of sectors in terms of “routineness” by merging two sets of data: (i) ratings of occupations by their intensities in “solving problems” from the U.S. Department of Labor’s Occupational Information Network; and (ii) U.S. employment shares of occupations by sectors from the Bureau of Labor Statistics Occupational employment Statistics. Using U.S. Census trade data, we then demonstrate that the share of intrafirm trade tends to be higher in less routine sectors.